Elgin Energy has received planning permission for a 50 MW solar PV project at Milltown Airfield near Elgin in Moray. This is the largest consented solar PV project in Scotland to date. Permission granted for largest solar farm in Scotland Developer Elgin Energy consented for 50 MW project at Milltown Airfield Elgin Energy has received planning permission for a 50 MW solar PV project at Milltown Airfield near Elgin in Moray. This is the largest consented solar PV project in Scotland to date. The Milltown Airfield project is the first solar development approved by the Energy Consents Unit (ECU) of the Scottish Government which rules on projects of 50 MW or greater in output. "This large-scale project is the fruition of the commitment and vision between Elgin Energy, Innes Estate, Scottish and Southern Energy Power Distribution, National Grid, Savills and the rest of our professional support team. The ECU, Moray Council and all parties involved in the planning process have been highly engaging and we are delighted with this outcome which is the culmination of almost six years preparatory work. We would hope to begin developing this project in the early 2020s. Elgin Energy is continuing to invest in Scottish solar and across the UK to accelerate the transition to a low carbon, secure and affordable UK energy system. " "“ Ronan Kilduff, Managing Director, Elgin Energy The development will occupy approximately 115 hectares of a former RAF Airfield on land owned by the Innes Estate. The airfield was decommissioned in the 1970s and since then has been used for a variety of activities including storage, HGV testing and sheep grazing. The site will continue to be used for sheep grazing once construction is complete. "This is an exciting new chapter for Innes Estate. For 20 years my parents have grown and diversified the business to span from farming and forestry to weddings and corporate entertainment. This new project will provide yet more diversification and most importantly it will allow us to re-invest in one of Morayshire's most important historic houses. The need for renewable energy is becoming increasingly important and we are very happy to be contributing to the green future of Scotland. It has been a pleasure to work with Elgin Energy as their wealth of experience in the sector has made the process very smooth and we look forward to the completion of the project and the continuation of our working relationship. " "“ Edward Tennant, Innes Estate Once energized, the solar farm will supply 50 MW of clean and affordable electricity powering up to 15,000 Scottish homes or 19,000 electric vehicles annually. This project is an exciting addition to Elgin Energy's extensive portfolio across Scotland and the UK. 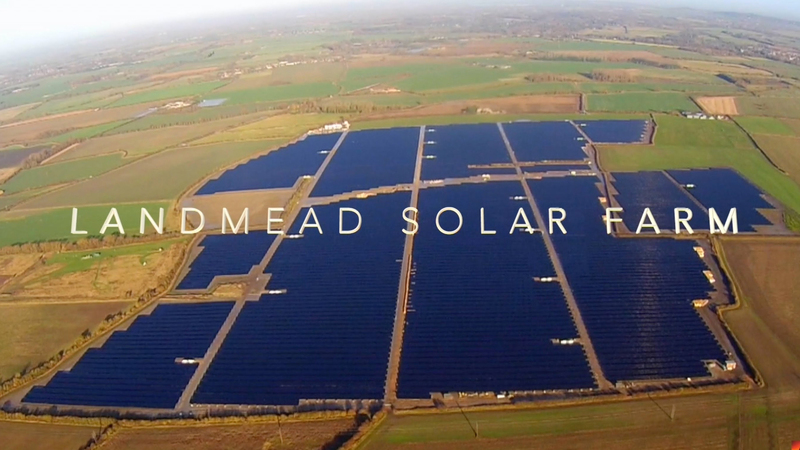 Elgin Energy previously developed the current largest operational solar farm in Scotland. Errol, a13 MW solar farm in Perth was energised in 2016. In 2015, Scotland achieved its 50% target of gross annual electricity consumption from renewable energy and are on track to achieve their target of 100% by 2020. To date, Scotland has a total installed capacity of 319 MW of solar PV. "Our congratulations to Elgin Energy for getting approval to develop Scotland's largest solar farm. It promises to make a vast contribution to the development of solar in Scotland. An abandoned airfield will now be able to provide jobs, clean, affordable power for thousands of homes, and to enhance biodiversity while helping to meet Scotland's ambitious targets of achieving half of all energy from renewables by 2030. That such large-scale projects are being planned for in the subsidy-free era is testament to the increasingly important role solar will play in our national decarbonisation strategies. " "“ Aleksandra Klassen, National Coordinator, STA Scotland Milltown Airfield solar farm will provide a significant contribution to Scotland's robust and growing renewables sector and the country's renewable energy targets. Elgin Energy is currently developing additional sites throughout Scotland and the UK.